Research in Motion's situation has taken another dramatic turn after last night's earning call to investors revealed its urgently needed and potentially lifesaving BlackBerry 10 OS will be delayed. The Canadian firm also reported huge losses for the first financial quarter and another round of layoffs affecting 5,000 workers. 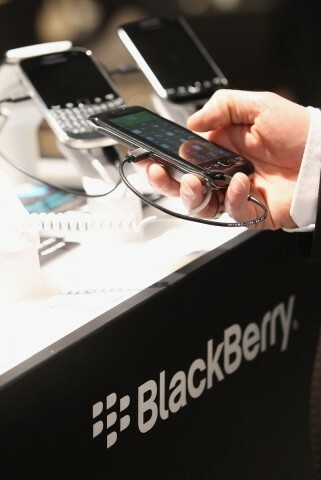 RIM reported a first-quarter loss of $518 million, or 99 cents a share, its worst loss since 2003. Sales revenue was $2.8 billion, down 33% from its first quarter's $4.9 billion figure twelve months ago. All told, the company shipped 7.8 million phones during the period, and 260,000 PlayBook tablets despite heavy price cuts. "This was a challenging quarter. I am not satisfied with the financial report we are giving you today," said CEO Thorsten Heins on a conference call with investors. "I understand this is an incredibly difficult message to deliver, but it is necessary to change scale and refocus the company on areas of highest opportunity." Newly appointed CFO Brian Bidulka said the outlook for the next few quarters will be very challenging due to the increasingly competitive environment and expects another operating loss in Q2 of fiscal 2013. It is indeed sad times for what was once one of Canada's best exports, which due to lack of innovation and faster paced rivals are increasingly becoming more of a spectator in the phone market. RIM widely bills BlackBerry 10 OS as the answer to their increasing problems, but the delay to at least the first quarter of 2013 due to the "challenge of making it ready for global release" and a "long integration process" has done nothing to help the situation. "These issues are not related to quality, [but] it has become clear a schedule working towards this calendar year is no longer realistic," said Heins, who maintained the mobile OS remained the company's highest priority. He continued, "I will not deliver a product to the market which is not ready to fulfill the needs of our customers [and] there will be no compromise on this issue." The fact that the next-generation handsets running this new OS will be aimed purely at the high-end of the market directly against established and market-leading phone makers like Samsung with its Galaxy S3 and Apple with its iPhone 4S (and the yet to be released iPhone 5 rumored for October) is another huge problem. Frankly speaking, RIM faces an uphill battle of Mt. Everest sized proportions to achieve any success. If this wasn't enough to contend with, Heins also reported that further company restructuring would see 5,000 jobs, around one-third of RIM's workforce axed at a one-time cost of $350 million. Shares sank sharply upon hearing the news, finally settling at a 17% drop to $7.75 during after-hours trading. That places the company's value at less than $4 billion and is a stark reminder of the peril RIM currently faces.